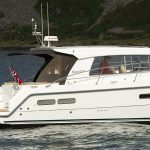 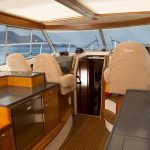 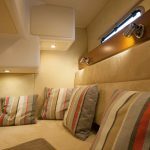 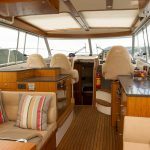 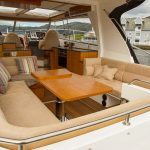 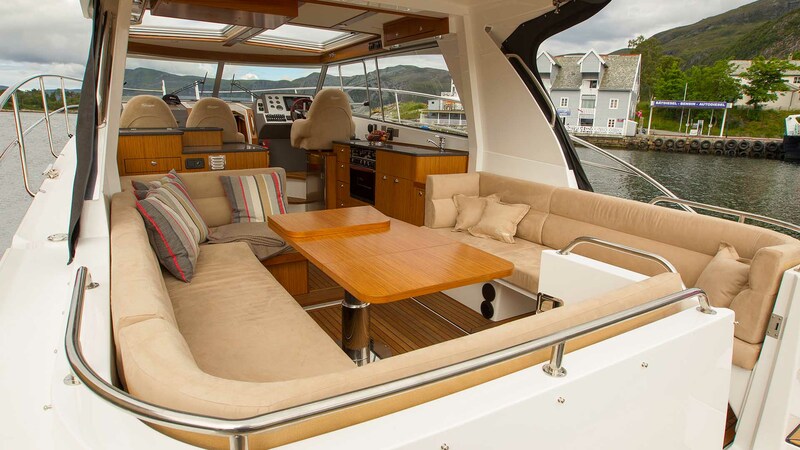 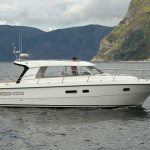 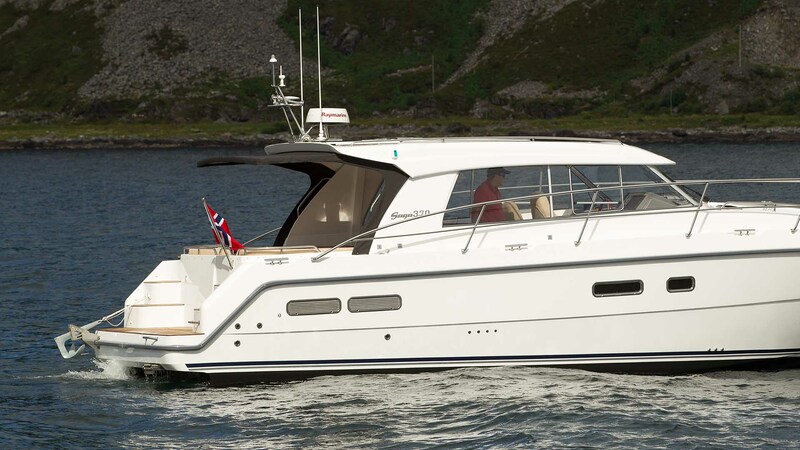 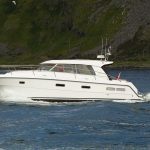 Saga’s latest 370HT model is based on the 365 but instead of the enclosed wheelhouse with sliding aft doors, the 370 opens the entire space out to form one huge cockpit area, perfect for lounge space and socialising. 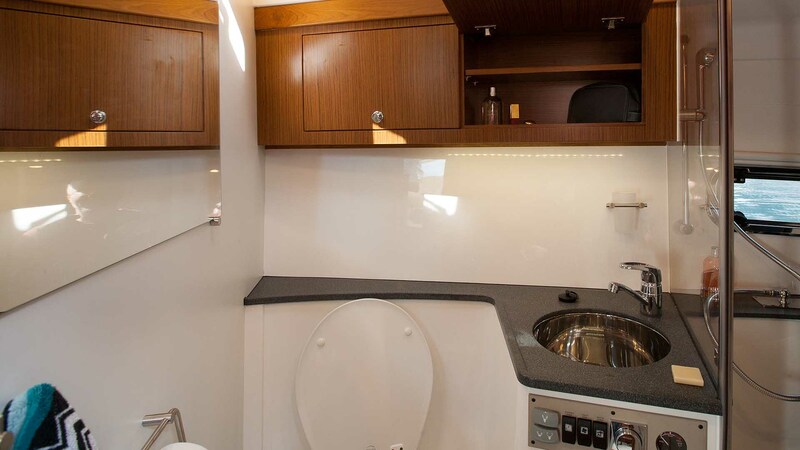 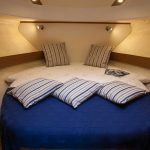 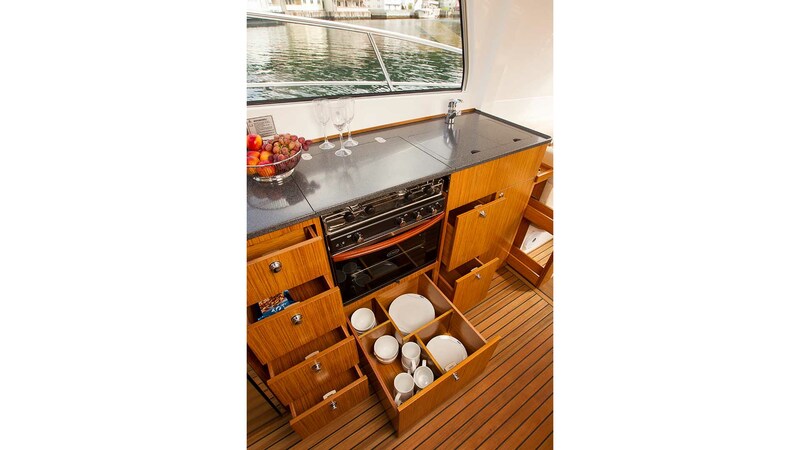 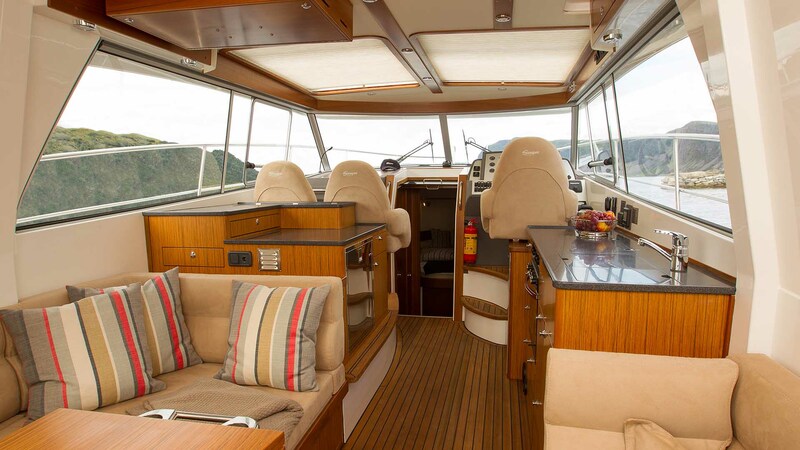 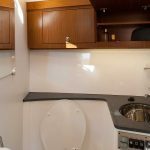 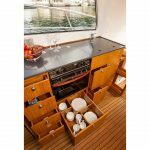 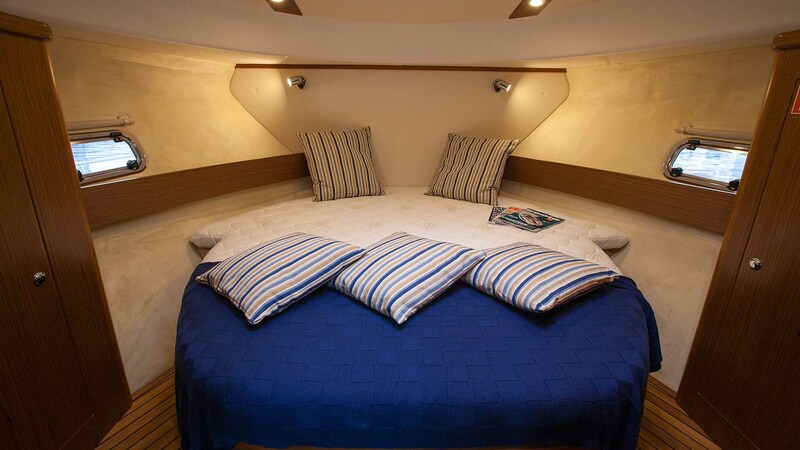 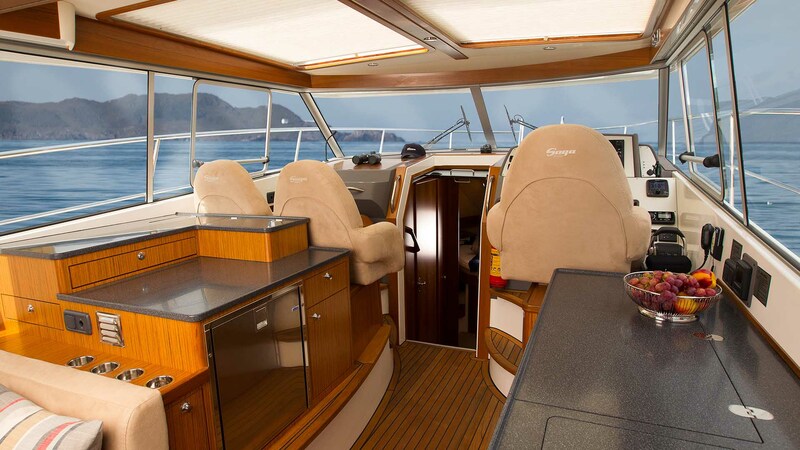 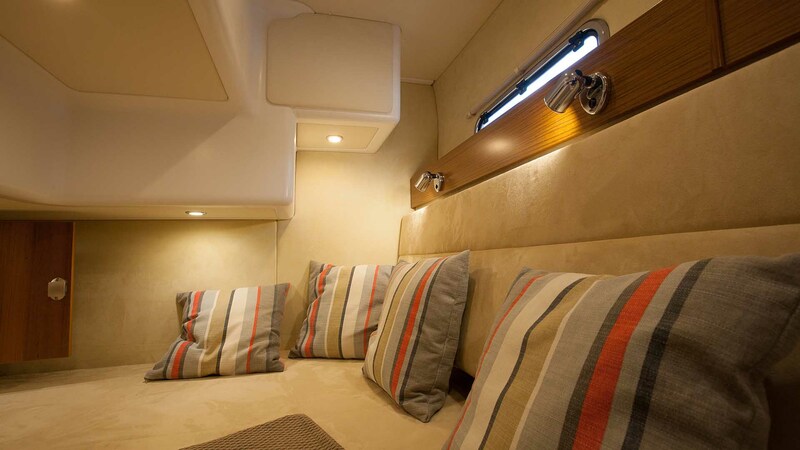 The same innovative layout features below decks with twin cabins offering sleeping for 5/6 in comfort, together with a spacious toilet & shower room. 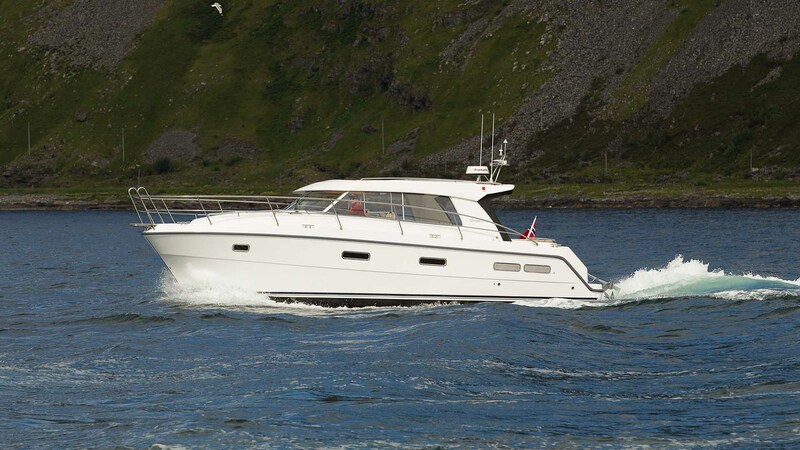 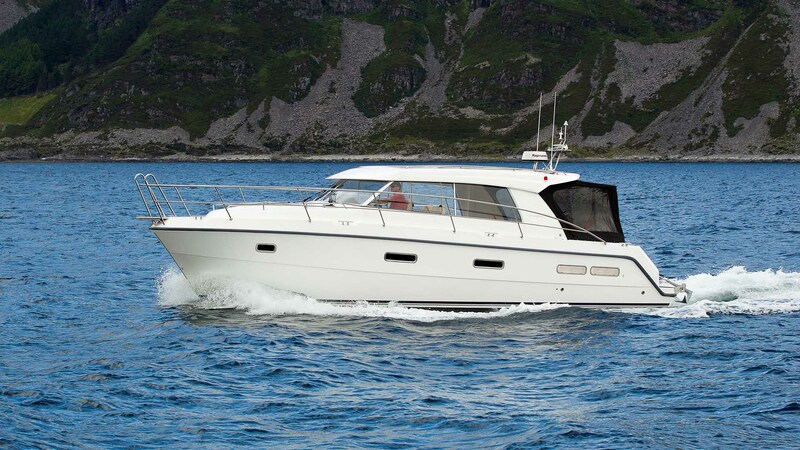 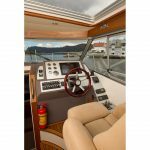 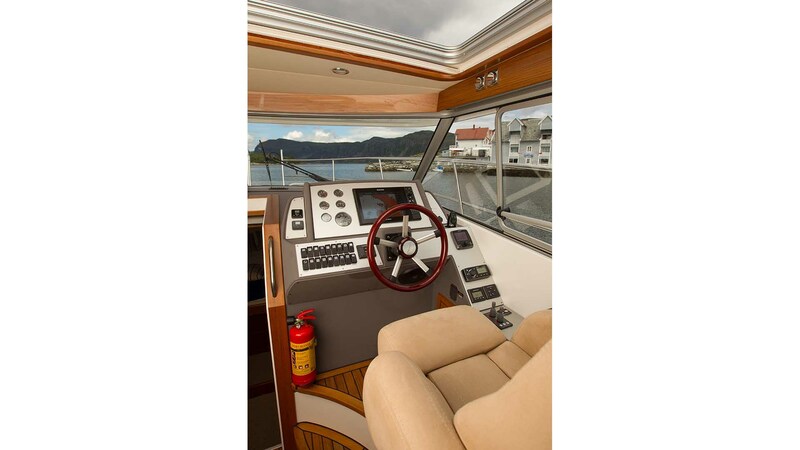 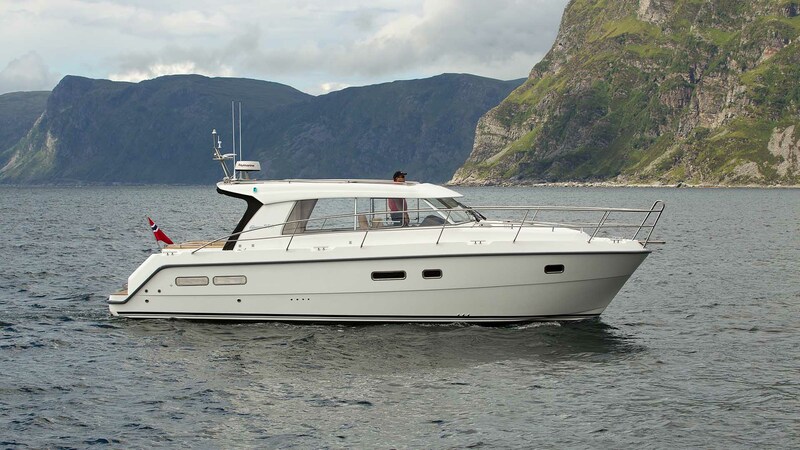 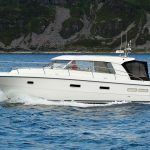 The 370 HT continues to provide a soft ride at sea with its semi-planing hull and economical cruising from a single inboard diesel.